Intrepid young explorer Benjamin Blog, together with his inquisitive dog Barko Polo, are travelling through Mexico. Join them on their journey and learn lots of interesting facts about this fascinating country. The book includes chapters on Mexican history, geography, cities, people, and food, as well as visiting some of the most famous places of this unique country, such as Guadalajara and the ancient city of Chichen Itza. 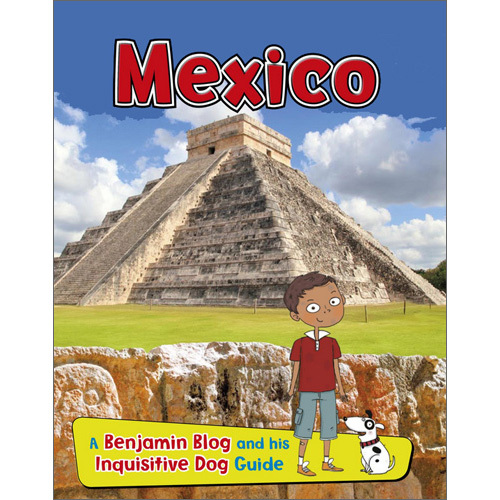 Mexico: A Benjamin Blog and His Inquisitive Dog Guide is a guide aimed at young children (6 - 10 years) that will help them to learn all about Mexico.